So why should you join us as an affiliate here at 4Patriots? You make money promoting top-notch products you can trust and your customers will love. We also offer bi-monthly commission payments with absolutely ZERO waiting period. You make sales, you get paid… period. We have an incredible and growing variety of products to offer your list. Our R&D team works tirelessly to find and develop new products that will make your list hungry for more. These are the highest quality physical products that we can offer and we continually update and improve on them as we go to make absolutely sure your customer gets a top notch experience. We’ve got a crack team of marketing superheroes churning out all the resources that you’ll need to make a serious impact on your list. These guys know our market inside and out and tailor our marketing materials to be powerful motivators to sell our products. You get something that’s kind of a rarity these days and that’s… personal support. I’m there right in the trenches with you to make absolutely sure you’re successful in promoting our products! Remember, it’s Easy and Free to join – simply email me at affiliates@4patriots.com to get started. One of our signature products this survival food kit is one of the very best on the market today. 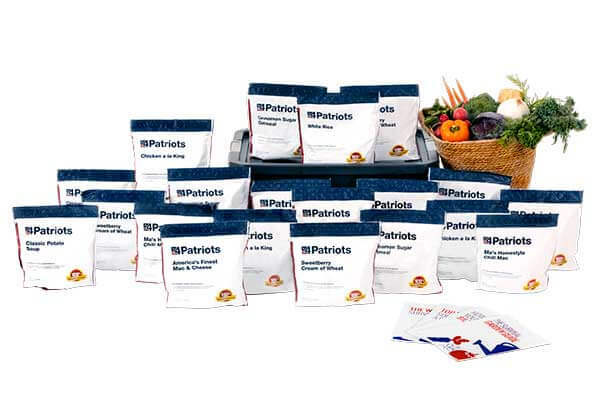 It’s pre-packaged in cutting edge, re-sealable Mylar pouches that gives it a guaranteed shelf life of 25 years. It’s one of our most popular products to date and comes in a variety of different sizes for easy consumption. See what customers are saying about this product. 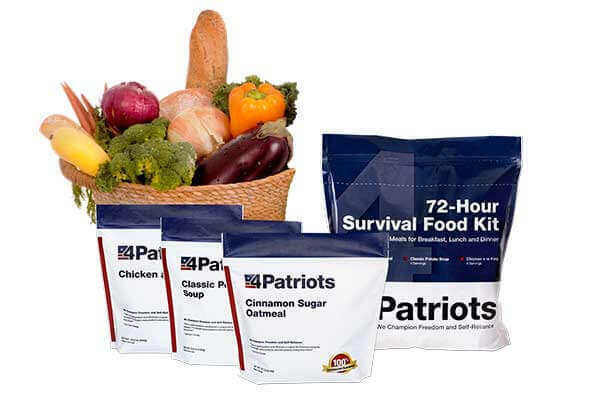 This 72-Hour Kit has the bare minimum amount of food you need to have on hand in a crisis. It’s a fantastic starting point for people who don’t yet have a stockpile but know they need one. It contains 16 servings of our high quality survival food and normally sells for $27.00 plus s/h and is being offered here for Free + $9.95 shipping. Our most technologically advanced product ever. The Patriot Power Generator is a tiny powerhouse. It’s light, portable and provides critical electricity to power your devices and more in an emergency. 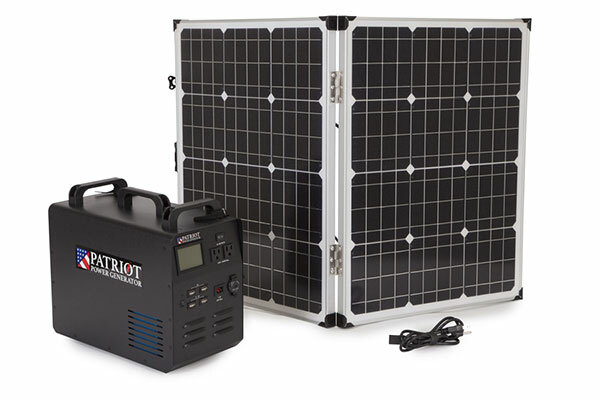 Handy folding solar panels mean you never have to worry about fumes from a gas generator again. The original product that helped build this company. 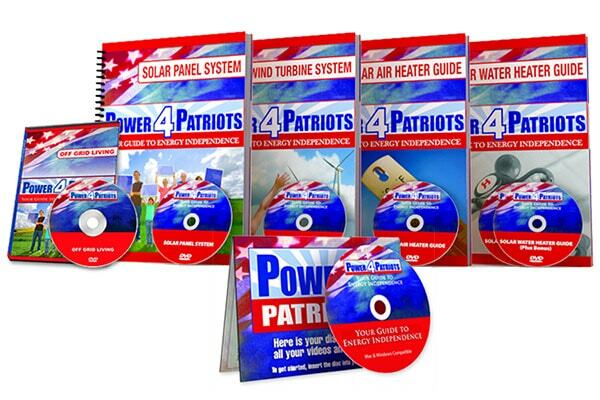 This series of Do-It-Yourself videos and manuals will show you how to build your own solar panels, wind turbine, solar water heater and solar heater. With off the shelf materials that you can find just about anywhere! We’re Leaders in the Preparedness Industry! 4Patriots is one of the leading members of the Preparedness Industry and ranked number 304 on Inc. Magazine’s list of the 500 fastest growing companies in 2013 and we’ve only gained steam from there. Our mission is to be #1 in this industry and a champion for freedom, independence and self-reliance for people across this country. Any friend of yours… is a friend of ours. It’s simple… if you spend the time to promote and get new customers to purchase they’ll be treated with utmost respect and courtesy from our staff and our company. As you could see from the list above we put our products before anything else. Our products are second to none and we continue to source and build new products that will meet our standards so we can share them with you and your list. Each and every one of our products help forward our mission of allowing people all over the country to become more self-reliant and prepared. Twice a month, no waiting. That’s the power and simplicity of our affiliate system. You get commissions from the 1st – 15th paid out the week of the 16th and the rest of the month pays out the week of the 1st. Period. No messing around. That’s why many of our affiliates have us on continual rotation to their list. Plus, we pay on a CPA basis making our commissions and payouts some of the most generous in the industry. That’s it! If you’re ready to get started just send me an email at affiliates@4patriots.com! And as always if you have any questions at all or would like to review the full commission structure, please feel free to email me and I’ll be happy to chat!